Escape the harsh winter this February and travel to Mar del Plata, Argentina, for a training camp vacation and the experience of a lifetime! Train in one of South America's hottest vacation spots, race in an internationally-sanctioned half Ironman (optional), partake in a traditional Argentinean BBQ, witness a spectacular tango show, go sight-seeing in Buenos Aires, and much more! For all levels and abilities of triathletes, from sprint on up to Ironman competitors. Recreational and age group "weekend warriors" will raise their fitness level and increase skills to gain further enjoyment from the sport of triathlon. Racers will work with coaches to improve all aspects of their training and skills to see improved results and faster PRs. We will be utilizing a vast array of world-class, private training facilities (see seperate page for details) all located within several blocks of the hotel, under the full-time supervision of many of the biggest names in the triathlon world. Barbara Buenahora, Latin America's #1 Pro Ironman Triathlete, as well as Juan Mutti, 3-time Argentina National Ironman Champion (photo at left), will join us at workouts and meals to work 1-on-1 with each athlete in addition to coaches to help you achieve your goals. In addition to triathlon training, participants will have the option to take part in Half-Ironman Mar del Plata, an official internationally-sanctioned Ironman Triathlon that takes place on Sunday, March (giving you a full 9 days preparation leading into the event). For those who choose to compete, the experience is unlike any other. All of Mar del Plata shuts down to give racers complete use of major city and surrounding countryside streets. Tens of thousands of spectators turn out to cheer you on every step of the way. The race begins with a swim through the Atlantic Ocean starting on the beach alongside Casino Central, the world's largest casino. The bike portion travels along the coast, using Mar del Plata's most prominent streets where spectatorspack 3-deep along the curb. The run brings you through the heart of the city, where, cheered on by thousands you will finish just before the beach and be crowned an International Ironman Finisher and be eligible for Age Group awards as well. 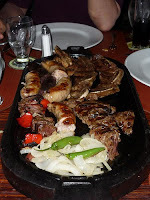 Later in the day after the race we will travel to the awards presentation, followed by a special Argentinean barbeque later that evening where you will be able to sample all of Argentina's world-famous meat. On Monday, March 8, we will depart Mar del Plata after breakfast and travel north to Buenos Aires. There we will take part in a guided tour of Buenos Aires during the afternoon. In the evening we will visit a traditional Argentinean tango show, and afterwards dine out at one of Buenos Aires' most exclusive restaurants, before flying back to the USA. 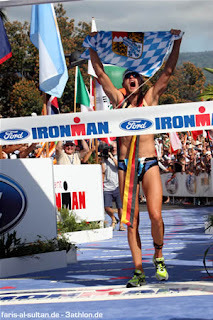 Kevin Koskella: World-renowned triathlon swim coach for TriSwimCoach. Regular contributor to Inside Triathlon and Men's Health Magazine, former NCAA All-American swimmer. Phil Stephens: ISU Track Certification Instructor, Pan Am Champion, world-renowned bike fit specialist with Bike Fit Systems, LLC. 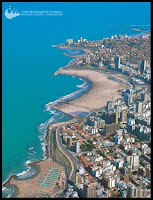 Our tried and tested venue from the last 6 years, Mar del Plata is known as the "Riviera" of South America. One of the most popular resort cities in South America, Mar del Plata is a summer wonderland that is actively increasing its reputation as the sports capital of South America. 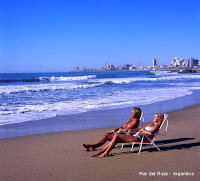 Mar del Plata has hosted such events as the annual Mar del Plata Marathon, the internationally-sanctioned Half-Ironman Mar del Plata, as well as the 1995 Pan Am Games, 2005 FIBA Youth World Championships, 1978 FIFA World Cup, and 2001 FIFA Youth World Championships. As a result, Mar del Plata is an incredibly sports-friendly city that is absolutely perfect for our training camps. A beautiful location right on the coast of the Atlantic Ocean, Mar del Plata is in the height of summer during February and March, making it the perfect place to escape the frigid winter snows of the northern hemisphere. Our accommodations in Mar del Plata are at the 5-Star Hotel 13 de Julio. Much more than just a hotel, 13 de Julio features an Internet Cafe with Wi-Fi connection, Bar, Dance Floor, Game Room, and spacious Lobby. Rooms are equipped with Private Bath, Central Heating, Environmental Music, Cable TV, and Telephone with NDD and IDD capabilities. Suites are also available and feature wide kitchen and dining room, living room, meeting area, 3 spacious bedrooms, individual cold/heat air conditioning, and jacuzzi. For clubs or groups of 5 or more, special discounts and rates are available. Please contact us for pricing. Bring your friends and team members and save! The triathlon camp runs 10 days, from February 27 - March 8. Departure from the US is on Friday evening, February 26, with arrival in Buenos Aires on the 27th. Return from Buenos Aires is on Monday evening, March 8, with arrival in the US on the morning of the 9th. However if you would like to arrive later or need to leave earlier, arrangements can be made (for example if you want to fly out Sunday night rather than Tuesday). The price for each camp is $1995, which covers lodging, meals, coaching, use of training facilities, use of private beach resort, Ironman entry fee, airport pick up and drop off and all internal transportation within Argentina, bike fit analysis, sports medicine testing, training kit, special BBQ and awards dinner, tango show, sightseeing in Buenos Aires, and a special dinner in Buenos Aires. Single rooms are available for an additional $300 for the entire stay. Price does not include airfare. Special pricing for juniors and U-23s, thanks to the generosity of one of our sponsors! Please contact us for details. Big discounts are also available for clubs or groups of 5 or more! Please contact us for details. Or, to pay by check or money order, please contact us and we will send you an application form by email or mail. Follow the links below to get more information about each topic.